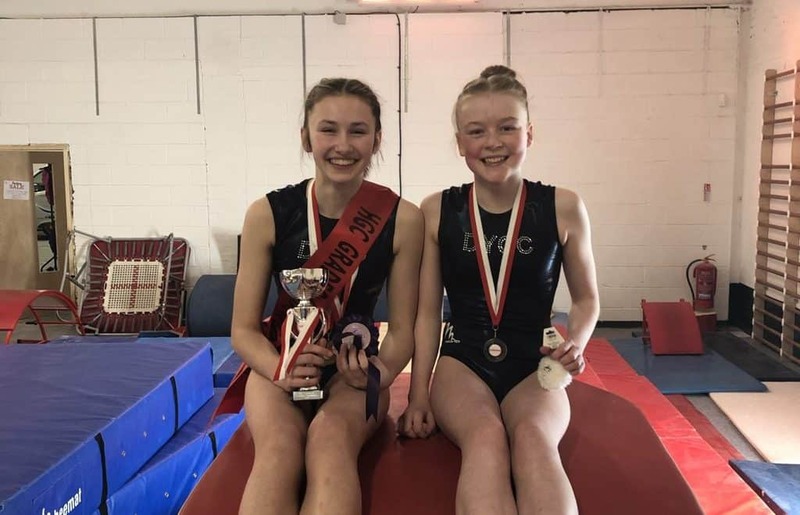 Dumfries Y Gymnastics Club returned to Hamilton Gymnastics Club for the second weekend of the Gymnova Pre-Grades Competition. Head Coach, Steven McKinnel, said “This was an excellent pre-grade competition, providing fantastic experience for their upcoming Regional and Club Grades in Perth”. In the Regional Grade 2 competition Sommer Dean won Bronze on Beam, won Rosettes for placing 6th on Range and Conditioning, 7th on Vault and 7th= on Floor, winning the Championship for finishing 1st All Around. Skye Martin won silver on Range and Conditioning and Honey McMinn placed 7th on Bars and 7th= on Floor. The Club travel to Perth this weekend for the Regional Grade 4 Competition in Perth. With now over 300 members, Dumfries Y Gymnastics Club has Competitive, Development and Floor and Vault competitive squads as well as gymnasts in Boys, Recreational, Fun4Baby and Pre-School classes and their recently added GymDance group. The Club are looking forward to an exciting year in 2019 when the extension to their premises in English Street will begin.